This was an intriguing little find in TK Maxx the other day… And to be honest, I only bought it because it looks quite the fancy little pot for a price of £3.99. I’ve been after a new eye cream for a while, since my Balance Me Wonder Eye Cream ran out. The Balance Me eye cream is literally the only eye cream I have ever used that I’ve actually felt work. I never reviewed it though as I think the blogging world had become a little over saturated with the Balance Me range at the time I was using it, but alas I can tell you now it is awesome. Anyhoo, I digress. 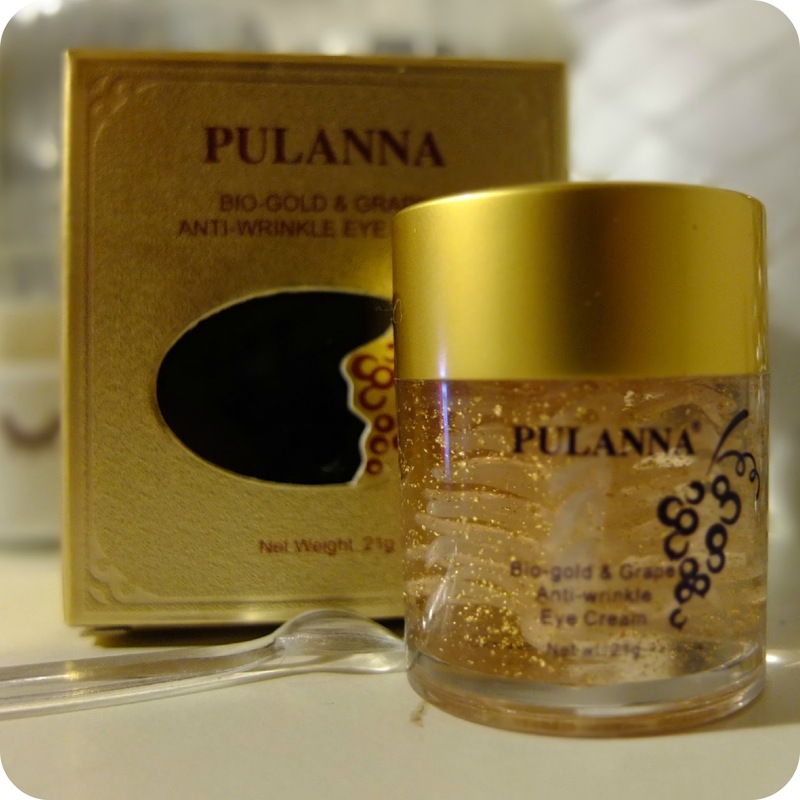 The wonder pot at hand right now is this rather mysterious Pulanna Bio-Gold & Grape Anti Wrinkly Eye Cream. As you can see it boarders heavily on the pretty side of the tracks, it’s a thick gel substance, not a cream like it says but has a weird swirl of creamy stuff in the centre that looks a bit like something you’d find in the sea. 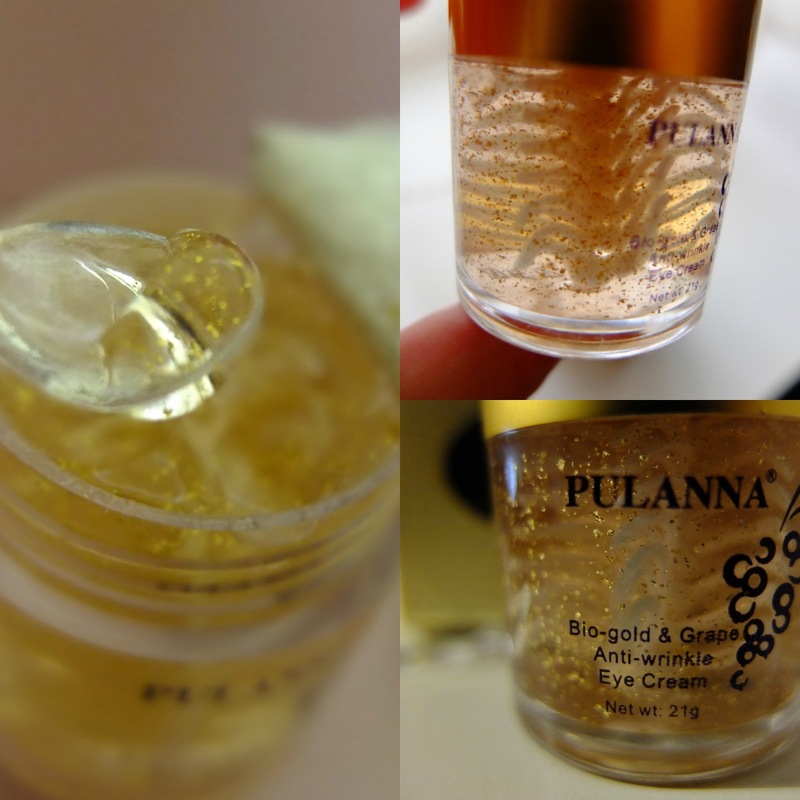 Throughout the formula there are gold flakes which add to the lovely aesthetic qualities of the little pot, and it also comes with a handy little spoon. The thing I can’t work out is if I am meant to mix the mixture up to blend it all together, or just use it as it is? I’ve had a look online and have found minimal information or reviews about it though. It seems a bit of a waste of prettyness too mix it all up…. 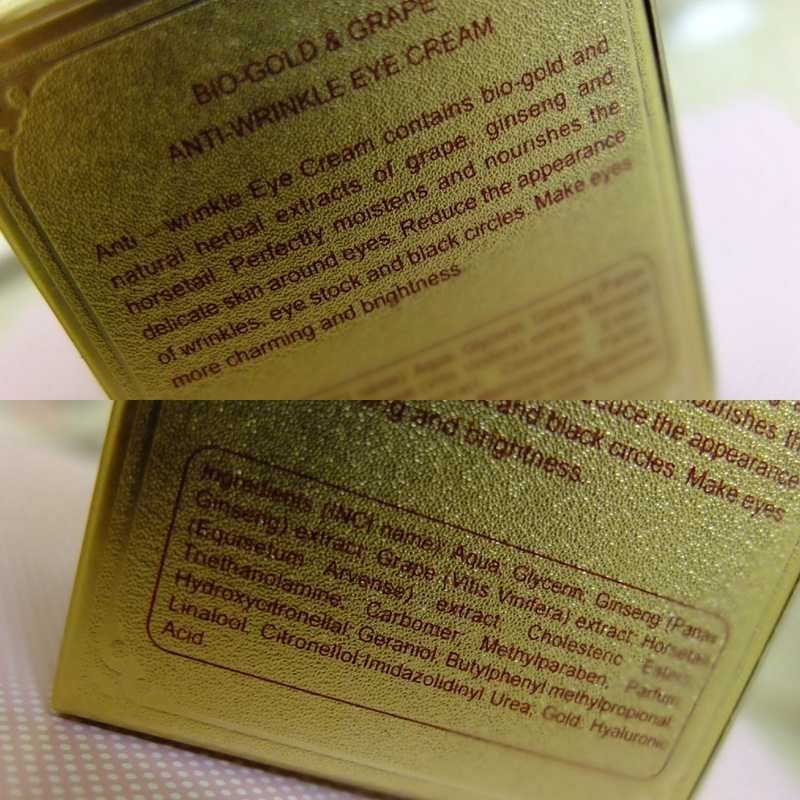 But then I do realise this is an eye cream not an ornament haha. It does feel very refreshing when I pop it on of a eve, but after two or three days surprisingly enough, I’ve not noticed much of a difference…. I guess I’m posting this not as a review, but as a quest for information?! Does anyone know anything about this range? Can you tell me if the ingredients list above will make my eyes look like that of a child? Would having eyes like a child be a good look? Who knows? Anyway, if you can tell me something, anything, about this company, product or goo then let me know. Or just bask in the prettyness of it with me, and I can update you on whether or not my eyes have dropped out as a result of using it after a week or two….. And yes, with every pat of these on my eye region, I do sing this… Quite loudly…. Previous Post A Touch of Edgy?